I just received my Dec/Jan edition of FAST Company Mag., and the feature article is All Eyes on Apple. I am not convinced that many people can really compete with Apple, and here’s why. Apple is a big Generation Y Company. 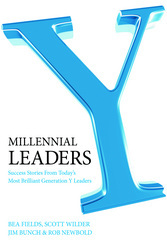 According to a study conducted by Outlaw Consulting, it is the number 1 company that Generation Y is most loyal to. The reason? I believe that Steve Jobs has a gift…the ability to know what Gen Y needs and wants before they even know it. So, I am eager to watch and see how this goes over the next year as companies compete for the coveted spot as the world’s leading gadget company for Gen Y. (The only thing the article did not mention was that Gen Y is large and are quite loyal to this brand…when you have 70,000 young men and women buying i-pods, i-phones and i-tunes, it’s hard to break into that community.